Photo: Peter Kaminski © Copyright 2017 All rights protected. 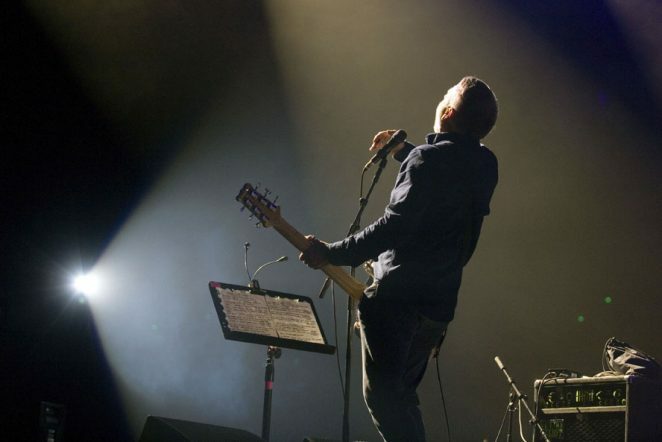 Joy Division’s legendary bass player Peter Hook is set to tour Australia with The Metropolitan Orchestra this August for a string of five concerts which will see him, special guests and a full orchestra perform the band’s seminal post punk repertoire with classical elements. Having sold out the debut concert at London’s Royal Albert Hall in July 2019, the Australian dates are the first outside England to be announced and follow on from Hooky’s many successful tours of Australia with both The Light and New Order. “Peter Hook & The Metropolitan Orchestra present Joy Division Orchestrated” celebrates one of the most influential bands ever and put that group’s most famous works in an immersive show that recognises their role in shaping popular culture and the influence they continue to hold. The show is curated by Peter Hook acting as Executive Producer with Musical Director Tim Crooks taking care of the orchestration. The concerts are the first time that an original member of the group has taken part in such a project to remember its decisive back catalogue. One of Australia’s most versatile and independent orchestras, well established for over a decade now, The Metropolitan Orchestra is joining the tour for all dates, having previously worked with the cream of the world’s vocalists and musicians and concert tours with Basement Jaxx and the BBC (Dr Who / Blue Planet). “Orchestrated” pairs up musically the elements of post punk that characterised Joy Division’s ground-breaking sound with the orchestra, paying homage to the spirit which defines their heritage. Given the band’s iconic legacy, the arrangements of classic Joy Division are to be presented in a state-of-the-art concert setting with the highest standards of production. As the band tragically ended on the eve of their first American tour in May 1980, Joy Division’s influence round the world has grown remarkably since and remains now ever present, with fans of all generations complimented by the many contemporary groups who have taken on the template of the band’s sound in the modern era. Across their two LPs and singles, all produced by Martin Hannett for Factory Records, the band’s landmark tracks are to be featured in “Orchestrated”, including from the band’s debut album considered by many the finest debut release by any group. Meanwhile the follow up, is described as a “start to finish masterpiece” (Pitchfork). Their singles are regularly lauded as some of the greatest ever to hit vinyl. “When we began to celebrate Joy Division with The Light in 2010, Australia was one of our first international visits. Our seventh gig came in Melbourne and as always down under, the reactions were amazing. Over the years I’ve come to love visiting Australia more and more, the people are wonderfully hospitable and to be able to bring the show here, straight from the Royal Albert Hall, is a tremendous honour. Tickets On Sale Thursday 18th April, 10am local time.